CHANNEL ISLANDS HARBOR — Since completing Phase 1 of an $8.5 million revamp on May 5, Channel Islands Landing Marina and Boatyard, at 3821 Victoria Ave., has filled its new slips quickly. “We are already at 94 percent capacity for Phase 1 of the marina (gates D, E, F and G),” said Bob Nahm, general manager of the marina and boatyard, and construction project manager. The marina has been designed to accommodate sailboats in one area and powerboats in another that is more protected from prevailing winds. “We wanted to make it easier for powerboaters to dock by locating their slips in the lee of the peninsula,” Nahm explained. Gates A, B and C opened in June, and the powerboat area (Gates H, J, K and L) opened for slip holders Aug. 18. In addition to an increased capacity — with the marina expanding from 91 to 157 slips — there are new restroom/shower facilities and a laundry room for slip holders, as well as improved dockside parking. More side-ties and end-ties are available to accommodate those who have their boats in the dry storage area and want to put them in the water for several days at a time — and there is now plenty of room for visiting boats. 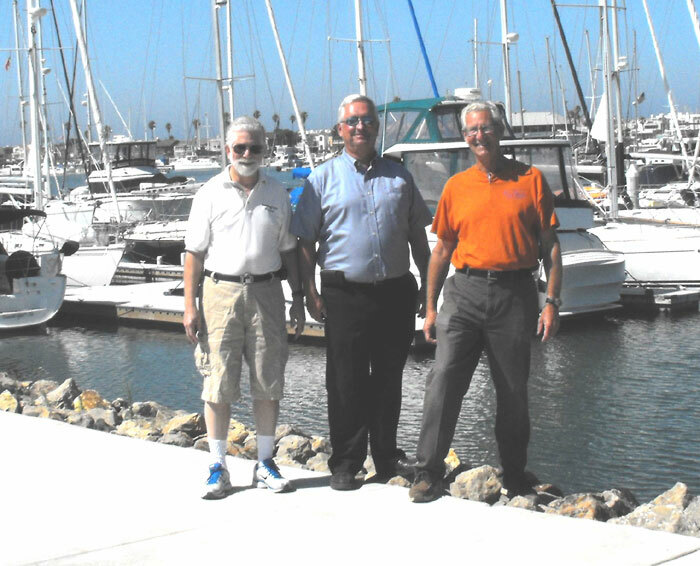 Channel Islands Landing’s boatyard also has a new 55-ton Travelift, capable of hoisting vessels up to 78 feet in length with beams of up to 21 feet. For more information, call Channel Islands Landing at (805) 985-6059.